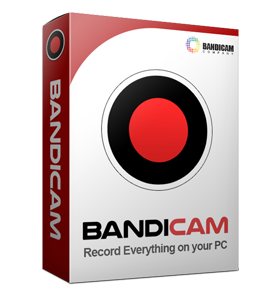 Want to upload videos to YouTube from Bandicam? YouTube is the biggest, most well-known and most widely used video sharing site in the world. 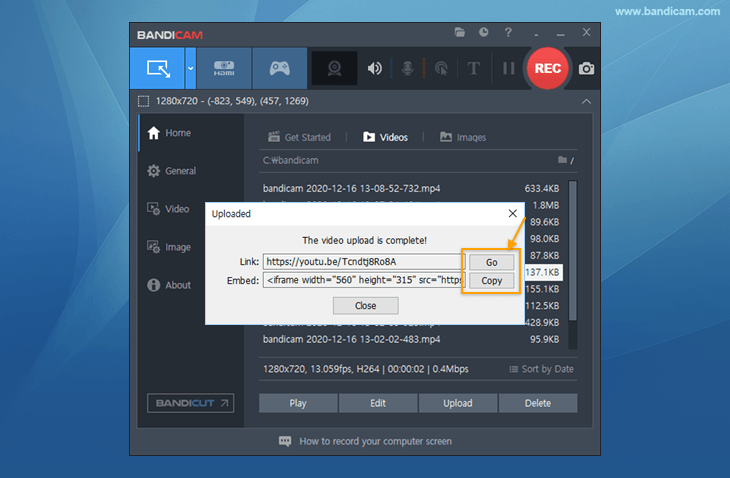 If you use Bandicam, you can upload the recorded file to YouTube without converting (1080p HD or 4K UHD video can be made). 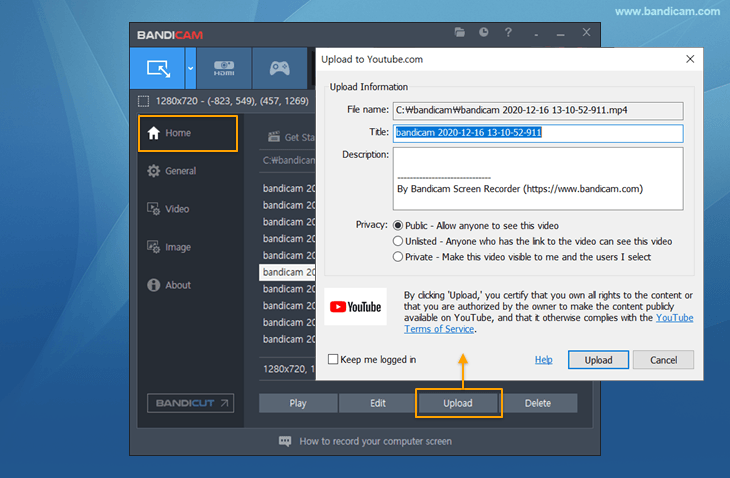 Please see the tutorial below to upload videos to YouTube from Bandicam. 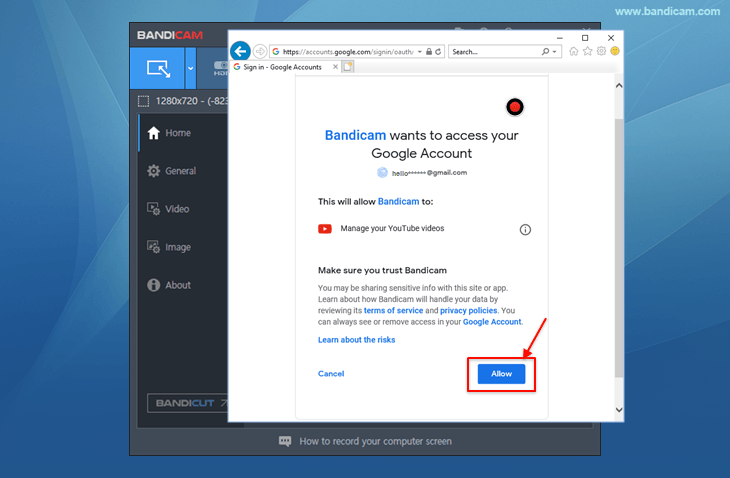 Click the [Upload] button under the [Home - Videos] tab of Bandicam. Enter the email address and password of your Google account. 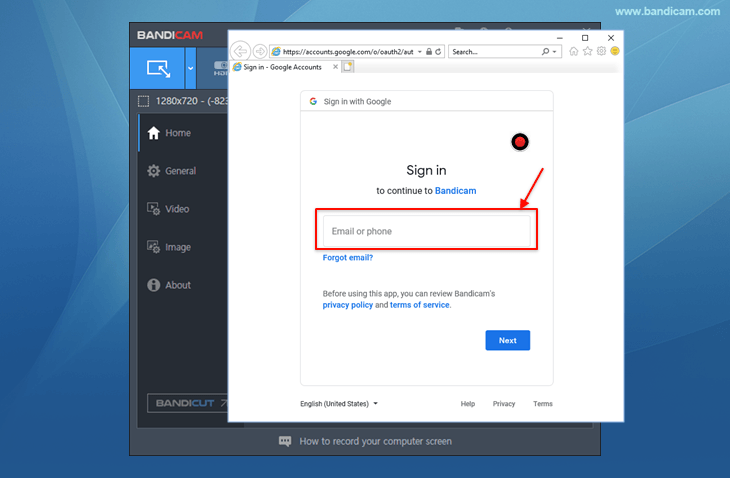 Click the "Allow" button to connect Bandicam to your Google account. Uploading will be started as soon as you have clicked the "Allow" button. After uploading, click the [Copy] button to share your video on other websites. If you click the [Go] button, you will see the uploaded video. If the "Upload to YouTube.com" window closes after clicking the Upload button, set your computer time correctly. By default, you can upload videos that are up to 15 minutes long. The maximum file size for YouTube uploading is 64GB. If you see the "Unauthorized" error message, please create a YouTube channel and try it again.